The Quincy Harris Morning Show with K Foxx. 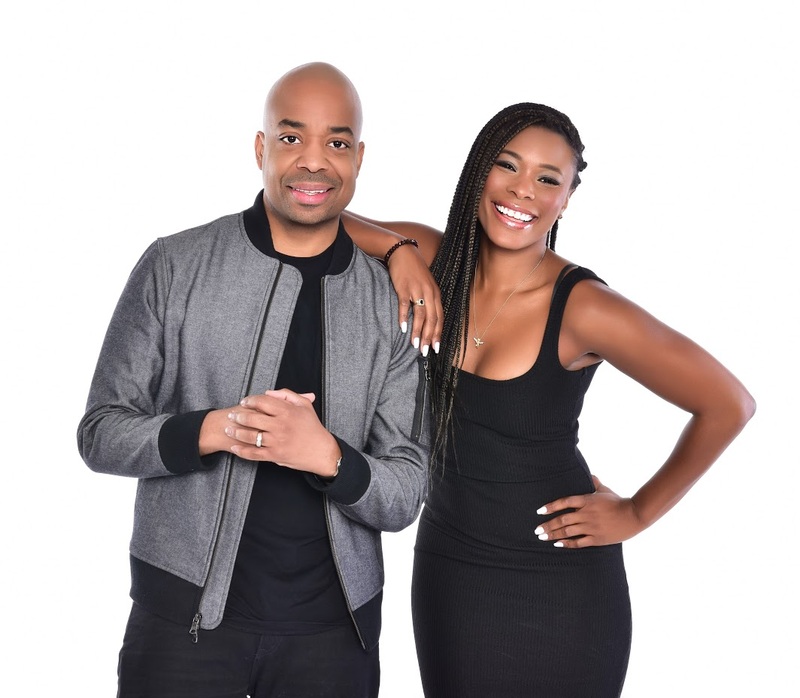 The dynamic hosts are ready to ignite the Philly airwaves, bringing a balance of entertainment, laughs, music and talk on local and national topics. Quincy Harris is a host, media personality, brand influencer and public speaker. After blazing trails from coast to coast for 15 years, Quincy’s quick wit and authenticity made him a favorite on the radio waves and opened the door to place him in front of the camera at WTXF Fox 29’s Good Day Philadelphia. After two seasons on the show, Quincy proved to be a breakout star and now hosts his own WTXF Fox television show, The Q, at noon, Monday through Friday. 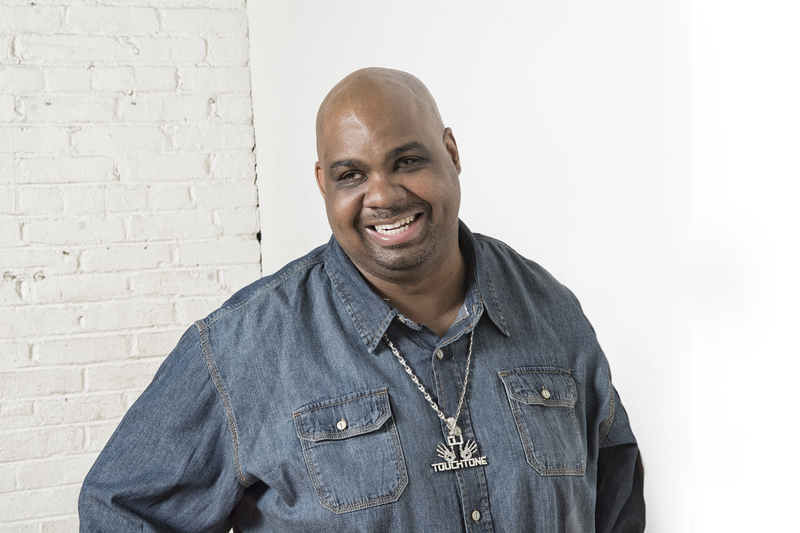 Quincy will serve Philadelphia with the latest in local and national headlines, lifestyle trends, music and pop culture from his radio morning show to his afternoon television program. Quincy is a Temple University graduate and member of The National Association of Black Journalist. Karen Vaughn is bringing Real, Fun and Fab to your work day! Like many of her listeners, Karen Vaughn enjoys great music and compelling conversation. She gives a dose of both from 10am – 2pm on Philadelphia’s 100.3 WRNB in 2017. Karen is deeply committed to using her platform to inform, entertain and inspire. Her charisma, vibrancy and engaging sensibility allow her to not only develop entertaining programming, but to connect with her listeners instantly. Karen also serves as Operations Manager for Radio-One Philadelphia. She comes from Radio-One Indianapolis where her afternoon show was rated number one. Her radio broadcasting expertise have earned her numerous honors and awards throughout her career. She has been honored as Assistant Program Director and Music Director of the Year from Billboard Magazine, Radio and Records Magazine and Gavin Magazine. Her Radio show has also been nominated for Urban Radio Personality/Show of the year, named on R&R Magazine’s “Women on the Rise” Top Ten list. Most recently Karen has been inducted in the Broadcaster’s Hall of Fame. A graduate of Temple University, Karen has represented the March of Dimes, The Sister to Sister Foundation, and American Heart Association as a spokesperson. Karen’s community outreach programs through her ‘Karen Cares’ brand have given hundreds of South Florida women spa makeovers, career and resume workshops, and work/life balance services. In addition to books for children and providing families with their holiday needs in Indianapolis. From her strong community connect, in 2008 she launched an interactive life-balance website for working women www.workingdivas.com™. As a mother balancing family, work and motherhood, Karen crafted Working Divas™ to empower women to put themselves first and enjoy the “bliss” that life has to offer. “Women have to find ways to manage daily demands and still achieve happiness in their lives,” says Karen. As a premiere endorser and voiceover actrress, top Brands have solicited Karen to represent them. She has endorsed, Comcast, Dove, Marshalls, Lipton, Noxzema, Khol’s,Remy Martin, Discovery Cruise-lines, Disney, Longhorn Steakhouse, Royal Caribbean International, Empress Hair Care, LA Weight Loss, and Ideal Baby Store. Celebrated for her engaging personality and her in-depth interviews…Lionel Richie boasted, “Karen has the magic.” Tyler Perry says, “I love being on Karen’s Show, she does the best interviews.” She has welcomed into the studio Tyler Perry, El DeBarge, Suze Orman, Lionel Richie, Jay Z, John Legend, Simon Cowell, Bobby Flay, Jamie Foxx, Sinbad, Eddie Levert, and Hill Harper to name a few. Karen has worked in major markets across the country, WZAK-FM in Cleveland, Hot 105 in Miami, as well as Philadelphia, PA, Washington, DC, and Baltimore, MD. Tune into Karen to experience a fresh approach to television, radio and the web. Karen Vaughn -Working Mom…Working Media! Darryl Lynn “D. L.” Hughley (born March 6, 1963) is an American actor, political commentator, radio host and stand-up comedian. D.L. 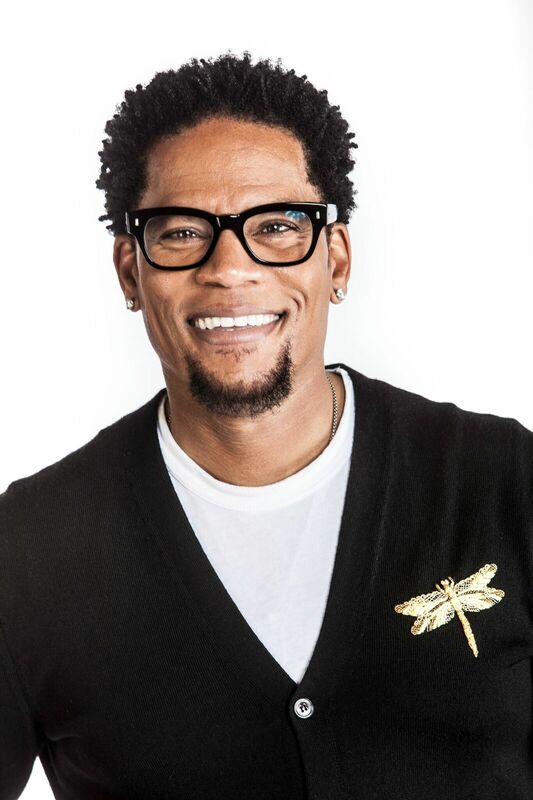 Hughley is best known as the original host of BET’s ComicView from 1992-1993, the eponymous character on the ABC/UPN sitcom The Hughleys and performed in The Original Kings of Comedy. Additionally, he has been the host of CNN’s D. L. Hughley Breaks the News, a correspondent for The Jay Leno Show on NBC, and a local radio personality and interviewer in New York City. In early 2013, D.L. Hughley landed in 9th place on Dancing with the Stars. Holding rank as The World’s No. 1 Blind DJ, Anthony “DJ TouchTone” Stevenson was destined to master the art of mixing on the turntables through his divine ability to memorize various musical catalogues while skillfully and seamlessly spinning records from old to new. Mesmerizing crowds across the U.S. and abroad, TouchTone remains humble as he recalls his childhood and being confined to his home because of his disability. This situation proved to be fertile ground for the cultivation of a musical mastermind. He developed his passion for music as he studiously practiced mixing and scratching. By the age of 13, he was already respected as a seasoned DJ. He also took time to study the art of dj’ing by listening to the greats in the industry, such as Kid Capri, Funkmaster Flex and DJ Jazzy Jeff. Tom Joyner and Russell Simmons are also amongst DJ TouchTone’s top influences. DJ TouchTone has always been in demand for his ability, charisma and talents. His clientele consists of prominent celebrities in the entertainment and sports industry, which include: P-Diddy, Rasheed Wallace and Will Smith, who have all hired DJ TouchTone to dj their private events. DJ TouchTone has also been hired by well-known corporations, including Heineken, Comcast, Gillette, Verizon and FOX Television. He has appeared on network television, including MTV’s “Making the Band”, BET’s (Black Entertainment Television) “Rap City – The Basement”, BET’s “106 and Park”, NBC 10 Morning News, 6 ABC Action Morning News, TV show “Visions” and Fox 29’s “Good Day Philadelphia”. DJ TouchTone has been well-covered in both The Source and XXL magazines. In 2007 and 2008, he received the top award, Club DJ of the Year. In 2012, he was the DJ for the Guinness book of world records longest Soul Train line in Philadelphia. Later that year in October, DJ TouchTone showcased his mixing skills nationally on The Tom Joyner Morning Show’s “Philly Skyshow” and was subsequently invited back in April 2013 to Joyner’s annual “Fantastic Voyage Cruise”. Since, he has been one of the top DJ’s on the cruise from 2013 to the present. One of DJ TouchTone’s fondest accomplishments was playing in London alongside super-producer Teddy Riley and Blackstreet in March of 2013. Because of his undeniable ability, the nation’s top black-owned broadcasting company, Radio One recruited DJ TouchTone as a mixer, but soon after, realized that his talent could no longer hide “behind the mix” and offered him a promotion to a full-time on-air slot. He has shared memorable moments alongside Philly’s own “Lady B” where he has proven that his voice is just as much in demand as his hands. He is currently blessing the city of Philadelphia on the airwaves with the Hustle Home Mix at 5pm daily on the DL Hughley Show and weeknights from 7pm -12am on 100.3 WRNB. DJ TouchTone still makes time for appearances at some of Tri-State’s hottest clubs and private events. In addition to Philly, TouchTone also spins for Cincinnati’s 100.3 RNB & Old School WOSL, Columbus’ Magic 95.5, Indianapolis’ 106.7 WTLC, Cleveland’s 93.1 WZAK, as well as, “Superadio” — a nationally syndicated network. Despite his blindness, DJ TouchTone has a distinctive characteristic that sets him a step above the rest. He continuously exceeds the world’s expectations and overcoming many unknown obstacles. DJ TouchTone is taking his career to a global level; determined to “Touch” all, as he stimulates senses and encourages everyone to feel the beat!